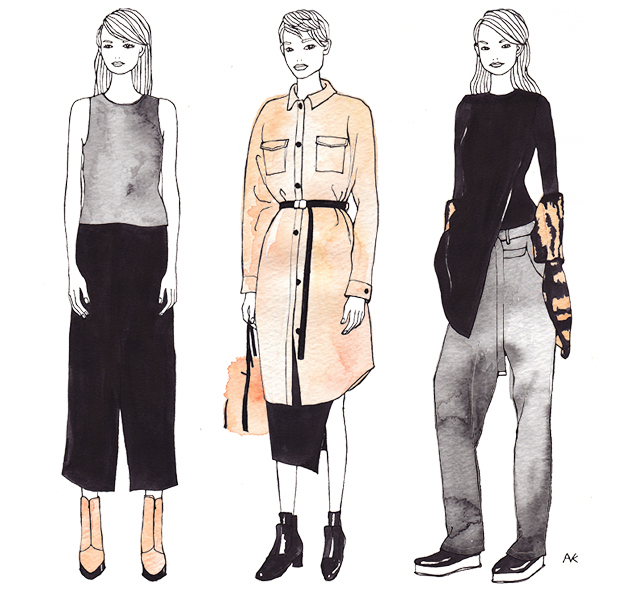 NY fashion week is over and I drew my favorite looks from one of my favorite collections: Opening Ceremony. Orange accessories has been my top wishlist for a while now so love the orange boots and the fluffy bag naturally. What is your favorite look from NY fashion week? My wish list right now is this Ancient Greek sandals..! 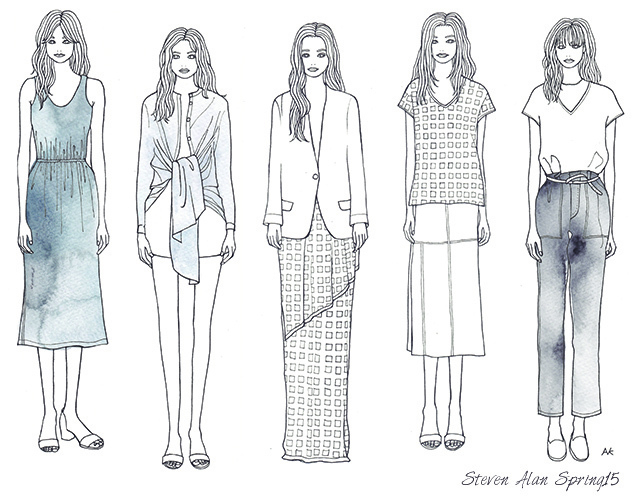 This is my second illustration from 2014 resort (first one here). 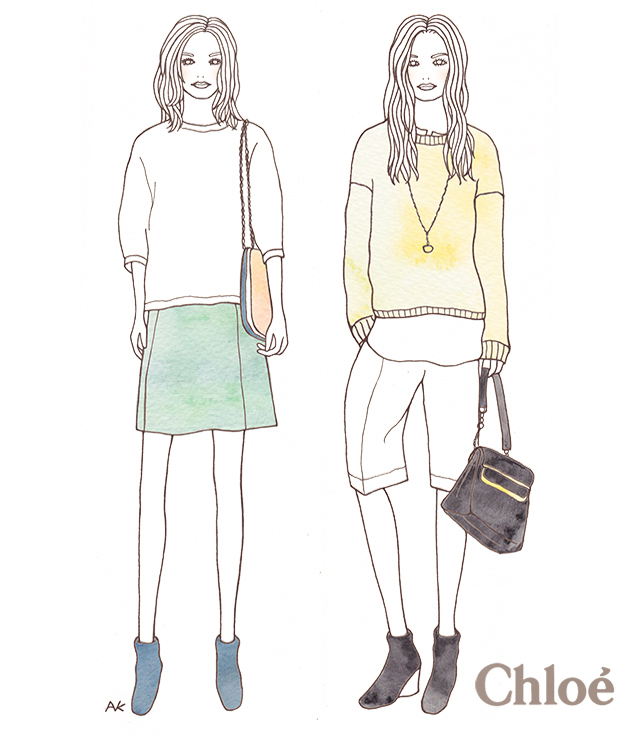 Chloé’s collection is so wearable and relaxed, and the bermuda pants + layering sweater combo is one of the looks I want to try. The accessories are so cool as always too! p.s. Its around 11pm the night before independence day and fireworks are going off outside already. Happy 4th of July! I’ve been enjoying seeing 2014 resort collection. There are so many inspiring looks and even feels like I love more resort collections than the other big ones. 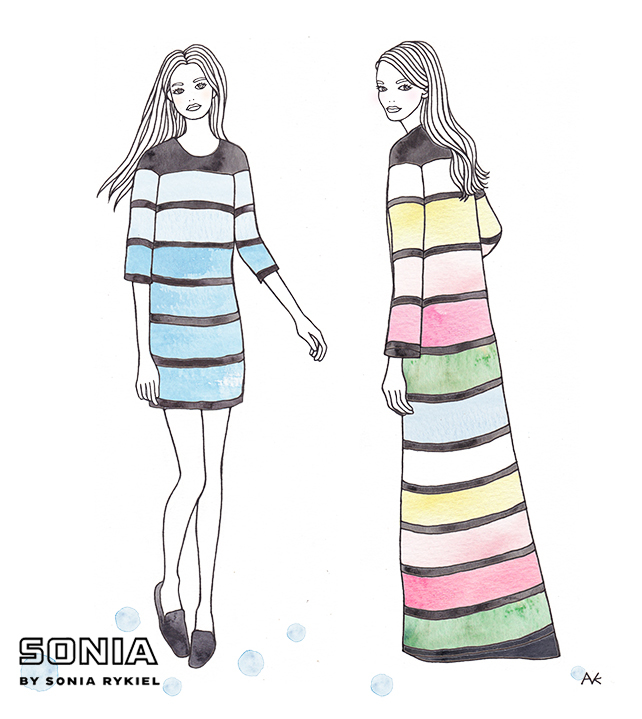 Here are two of my favorite looks from Sonia by Sonia Rykiel. It’s fun and colorful but still remain classic. Do you have any favorite looks from resort collections? I’d love to share my illustration of my favorite more later! This year is going by so fast so far and spring is almost upon us already (even daylight saving time will begins this Sunday!). So we can officially start wearing a fun colorful spring outfit. 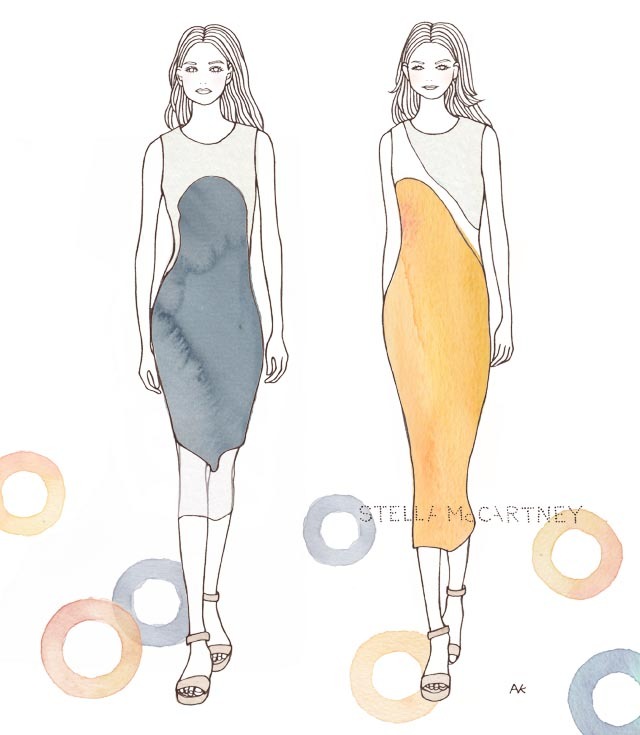 Stella is my third collection I loved (other two are here and here). The oversize tops and the kind of sporty dresses with the touch of see-through sheer fabric – it was a very inspiring wearable collection as always.